Many are not aware that the furnishings, flooring, paint and toys inside the house can emit hazardous gases and pollutants that can cause many health issues for the residents of a home, especially children. 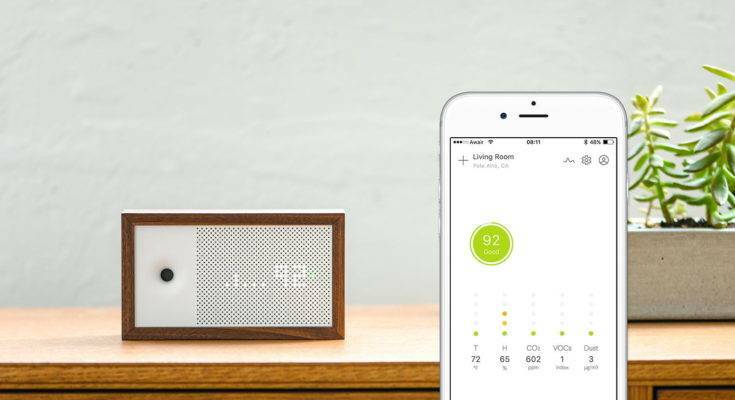 Korean company Bitfinder has developed a sleek and compact air quality monitor Awair that can detect the hazardous air inside the house and help users have a pollution free- environment in their homes. Awair was created in 2013 when co-founder Ronald Ru’s child faced a health issue due to the pollution inside his house. Ronald developed the air quality monitor device Awair with his partner Kevin Cho with the mission to help people bring in a healthy and safe indoor environment. 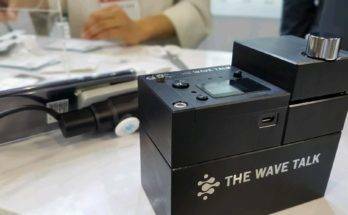 Awair has the ability to identify five key factors that determine the air quality measurement of fine dust, temperature, chemicals, CO2 and humidity. 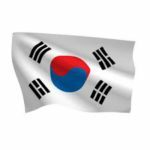 Awair had launched its upgraded second edition in 2018, which provides more acute readings of harmful Fine Dust (PM2.5) and gives further personalized recommendations regarding the quality of air. The device works with Wi-Fi and is connected with an app. The user can see the recommendations and measures by Awair using their smartphone. The Awair 2nd Edition also includes a Sleep Report feature, which uses a unique algorithm to help a user optimize their bedroom environment for a good night’s rest. “Our goal has always been to empower our customers with the knowledge they need to keep their homes and families safe and the Awair 2nd Edition will help them do just that,” Ronald Ro had said at the launch. The device is simple to use and attractively packaged. The Awair app gives results to a score of 100, in which the higher the number, the better the air quality. Awair can also be configured with Google Assistant, Alexa and IFTTT. The second edition device can be connected with USB also, unlike the earlier model, which only had a power connection facility. Awair is made using toxic-free material and occupies minimal space. Besides its beneficial functionality, the sleek make of the device with a wooden frame makes it an attractive piece to fit in any corner of the house. The price of Awair is $199, however, by subscribing to the Awair Newsletter, the user can avail a discount of $20. The device also has a ‘Baby’ variant with a soft plastic frame in green or pink. Awair also sells the $99 Glow, a smart plug that can be connected to fans, air conditioners and purifiers. Awair Omni is another product primarily for businesses like offices, hotels, educational institutes, to check the quality of air indoors. The company’s product Awair has rave reviews from users across the USA for its beneficial features and compact design. 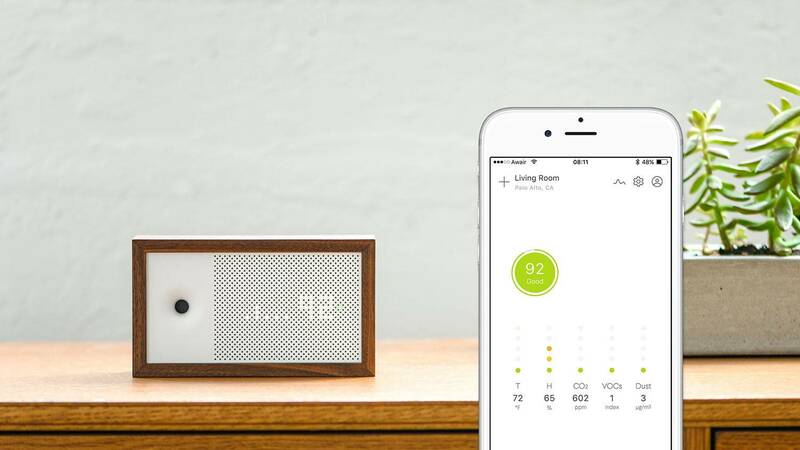 The market for this amazing air quality monitor is growing multiple folds. 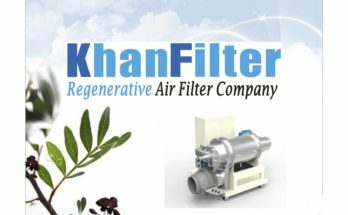 Khanfilter Regenerative Air Filter device helps control pollutant emission from restaurants. 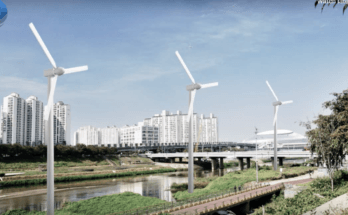 Enerwin develops small and medium scale S-SAWT(Smart Symmetrical Airfoil Blade Wind Turbine) wind turbines.